Memories are funny things, not always reliable in their truth but more often than not, emotional snapshots warped and changed by time. 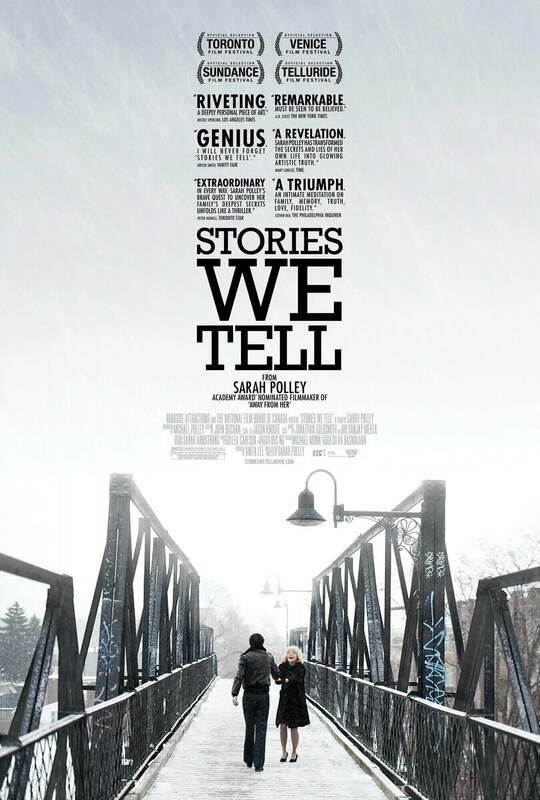 Sarah Polley has created an incredibly sensitive documentary about the nature of memory and stories being told by different players in said stories. Here, she directs her family (they say work with what or who you know) to investigate various points in their lives and their inter-connectedness. Someone once pointed out that if you get 5 (or some such number) people to go into a room and then come out and describe the room you will have 5 different versions of that one room. Perspective, individual truths, experiential truths, and emotional responses-these all play a big part in this incredible experiment that manages to dissect the nature of life and family and walks the line between dispassion and emotionally affecting delicately with dexterity. Give me this type of doc over ‘Who do you think you are?’ any day of the week. It doesn’t shy away from emotional exposure and the camera captures all the reactions beautifully and objectively. This is Polley’s biggest strength, the fact that she is so enmeshed in the story but never gets in the way of allowing everyone to speak their own truths. This, although it could be seen to be an emotional cop out on her part, actually reveals much more about her than if she was front and centre all the time. She doesn’t get in the way of the art. This is the feminine energy beautifully at play. The less I say about the content, the better. Watch it and go on your own individual journey; unaffected and without judgement. An important story told with delicacy and awareness about family and their various involvements in incidents past.